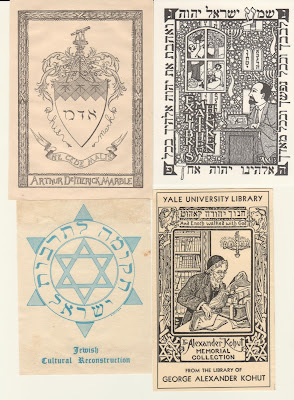 Random thoughts from a passionate bookplate collector. In the late Middle Ages, books were costly and rare—even after the invention of the printing press. Owning a small personal library of volumes was no doubt a source of great pride, but how could a fifteenth-century bibliophile assert ownership over his collection and ensure that borrowed books found their way back home? 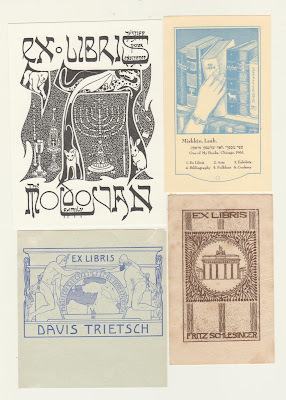 The ever-resourceful Germans came up with a solution: the bookplate. Whereas once book owners relied on writing their names inside the covers (which easily could be scratched out), now they could paste a printed slip of paper into a book that not only proclaimed its ownership but also was a status symbol in and of itself. 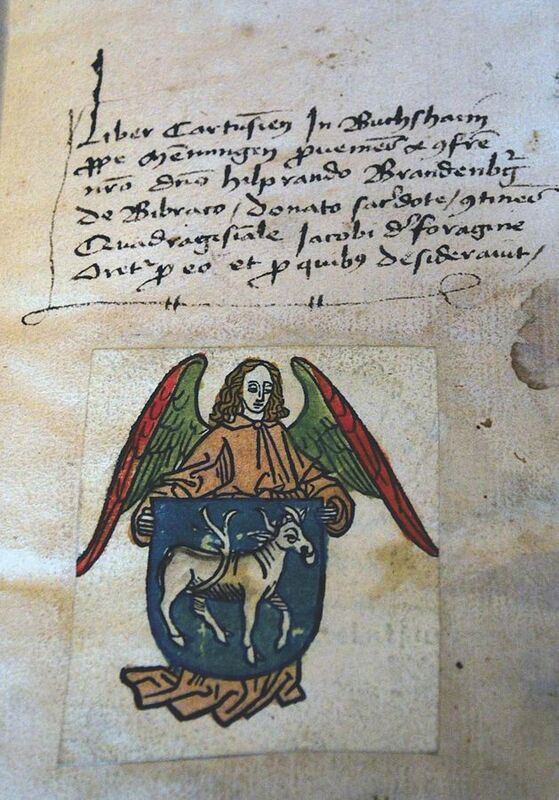 The earliest known bookplate belonged to Hilprand Brandenburg of Biberach and can be dated to c. 1480. 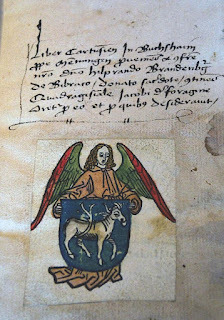 It’s a simple, hand-colored woodcut print of an angel holding a shield. There are more than 450 books known to contain Brandenburg’s plate. 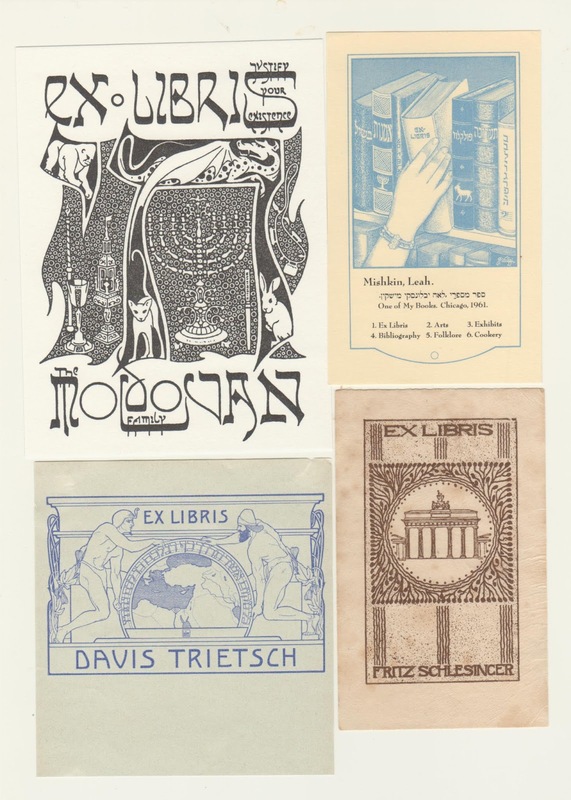 Bookplates tended to epitomize the fashionable styles of the day, from fussy baroque to streamlined art deco. Famous artists, including William Hogarth and Aubrey Beardsley, got into the bookplate-designing game, and ex libris were commissioned and used by all manner of people, from everyday book lovers to world leaders, to the Hollywood elite. Needless to say, bookplate collectors are keenly interested in collecting plates that belonged to notable individuals. They eagerly buy, sell and trade detached bookplates, as well as those that are still pasted into volumes. 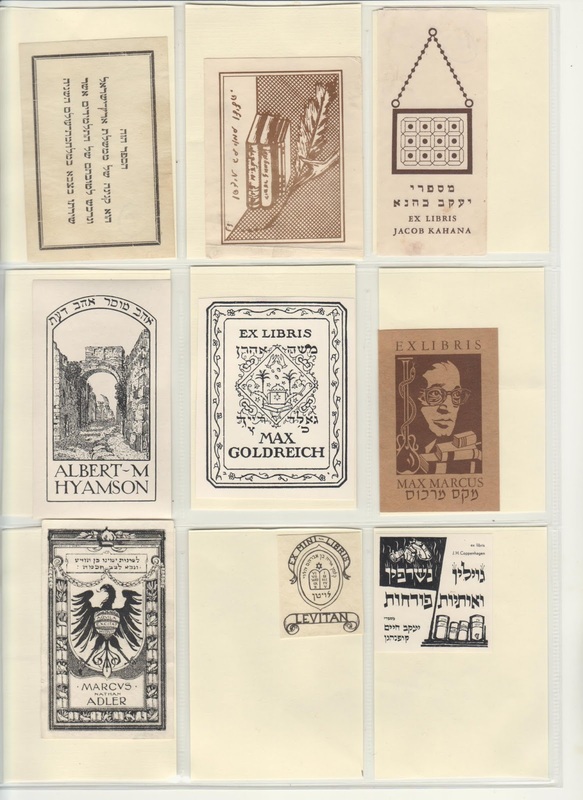 One such self-described “bookplate junkie” is Lew Jaffe of Philadelphia, who has been seriously collecting these slips of paper for more than three decades and maintains an informative and exhaustive blog (bookplatejunkie.blogspot.com). 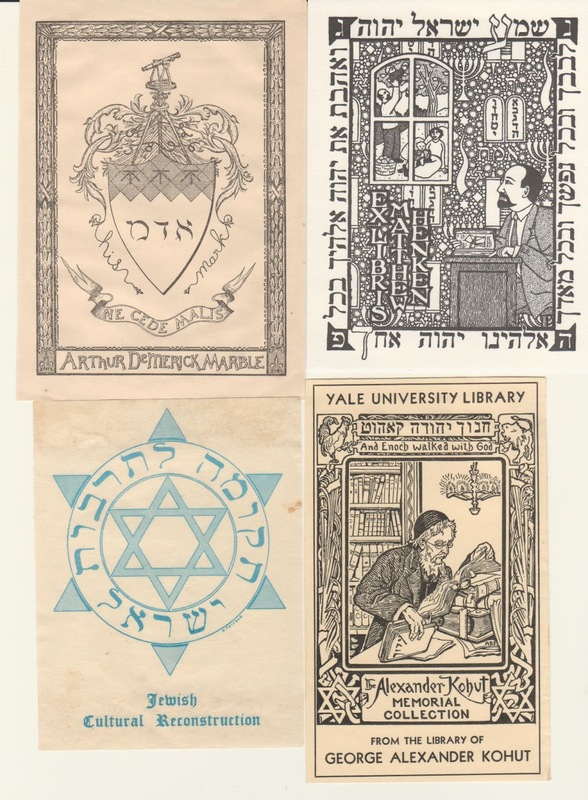 When asked to pick his three favorite bookplates, Jaffe likened the task to “choosing which of your kids you like the most.” However, here are three from his collection to which he feels particularly drawn. Rated “10,” best, is Jaffe’s own bookplate. 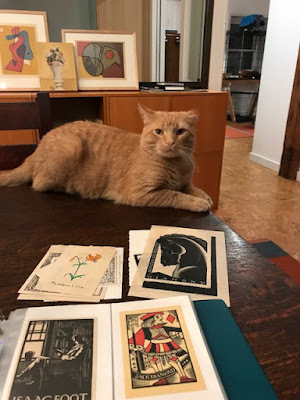 “I decided I really liked my own bookplate, and it’s one of my favorites.” Jaffe commissioned the design from a young American artist named Daniel Mitsui (danielmitsui.com), who specializes in bookplates in a style that harkens back to their earliest woodcut days. 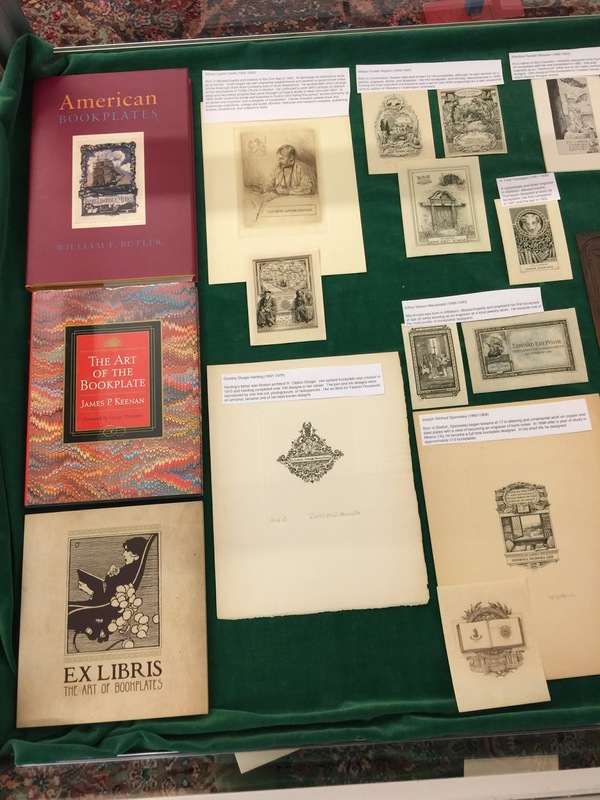 “There really aren’t many bookplate designers in America,” Jaffe said. 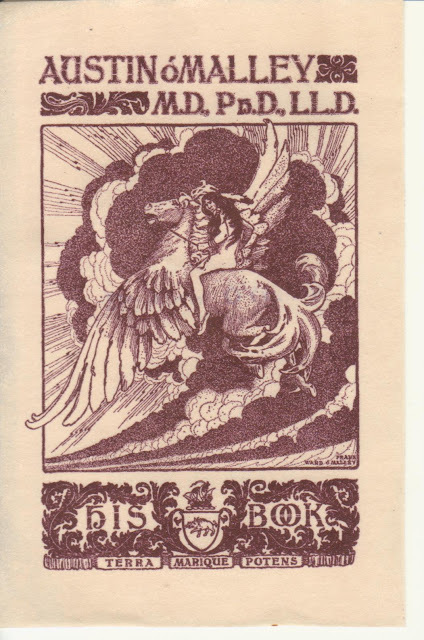 “There aren’t that many artists who have enough of a following to make a career from bookplate design. He’s one of the few; he’s the most active.” Measuring 3-1/2” by 4-1/2”, Jaffe’s plate features a dragonfly against a background of varied sea life—starfish, frogs, snails, fish and flowers, along with bones. “I love mine,” Jaffe said. 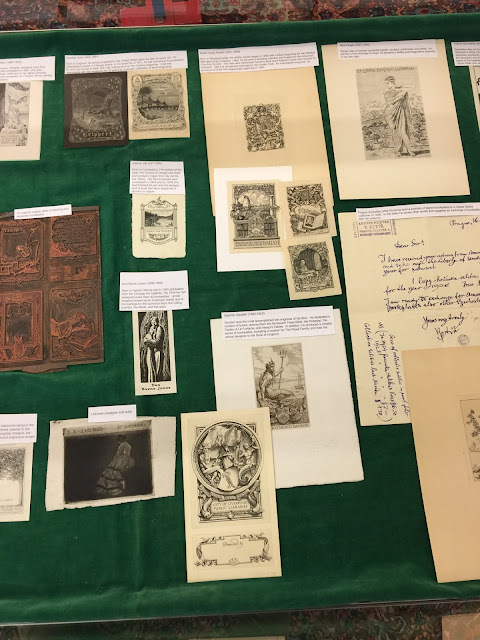 “It’s humorous and funny.” Jaffe has used his plate as it was intended—pasted into books in his personal library—but he has also traded it with fellow bookplate collectors. Perhaps one day this will be a hotly desired collectible. 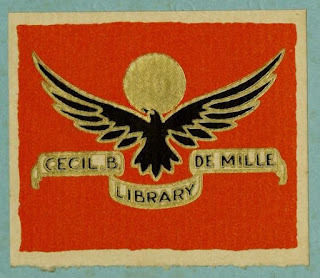 Rated “9,” better, is a woodblock bookplate that belonged to classic Hollywood director Cecil B. DeMille. “I chose that one because, really, it’s a striking image,” Jaffe said. “It’s in very bright colors—orange, gold and black. 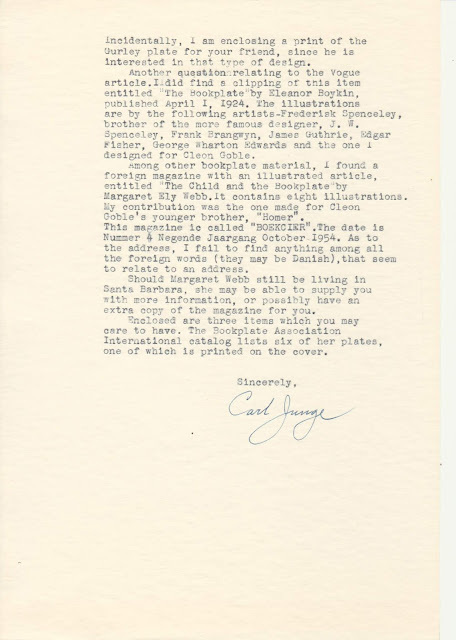 Very striking.” Jaffe explained, “In general, color enhances anything,” adding to this plate’s collectible value. 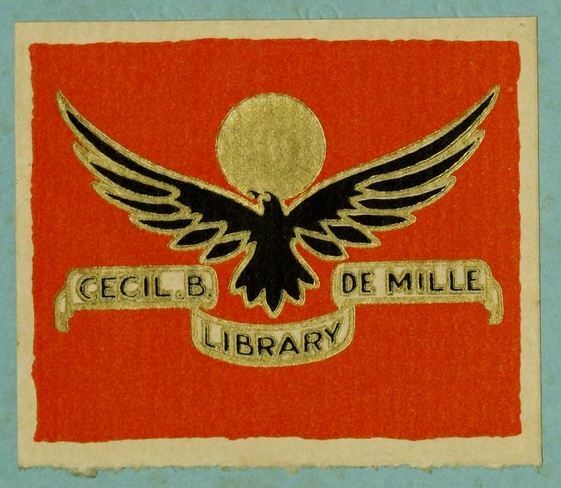 The DeMille plate measures 3-1/4” wide by 3” high and was designed in 1924—at the height of his success in silent films—by French artist Paul Iribe. 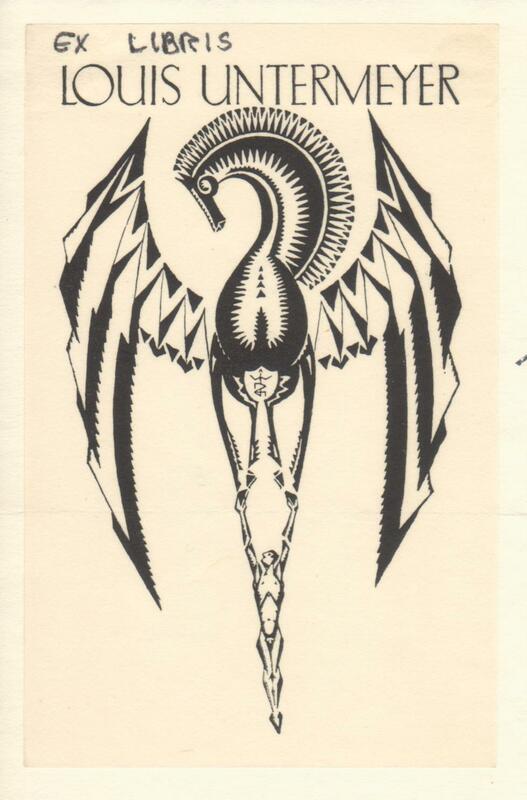 This ex libris depicts the phoenix, a symbol of knowledge that is appropriate for a bibliophile’s library. 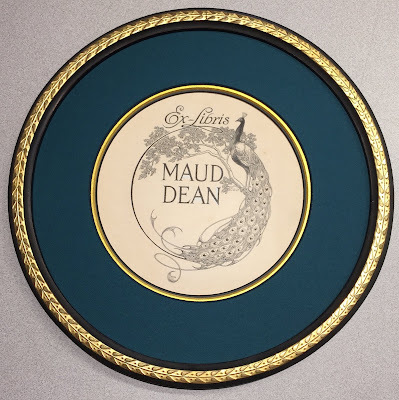 “It is a beautiful plate,” Jaffe said. DeMille is known to have had an extensive library in his Hollywood mansion, including volumes on history and design that he would have consulted for the making of his epic motion pictures. This is one of two DeMille bookplates in Jaffe’s collection. 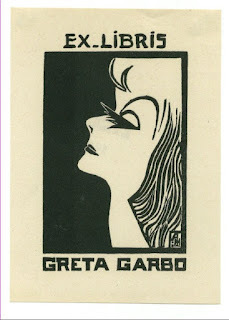 Rated, “8,” good, is a bookplate that was designed for enigmatic Swedish-born movie star Greta Garbo. This glamorous plate measures 3-3/4” wide by 6” high and features Garbo’s iconic profile. It was created by artist A. Herry in 1939. “This one is really good because it captures her image sort of as a caricature,” Jaffe said. 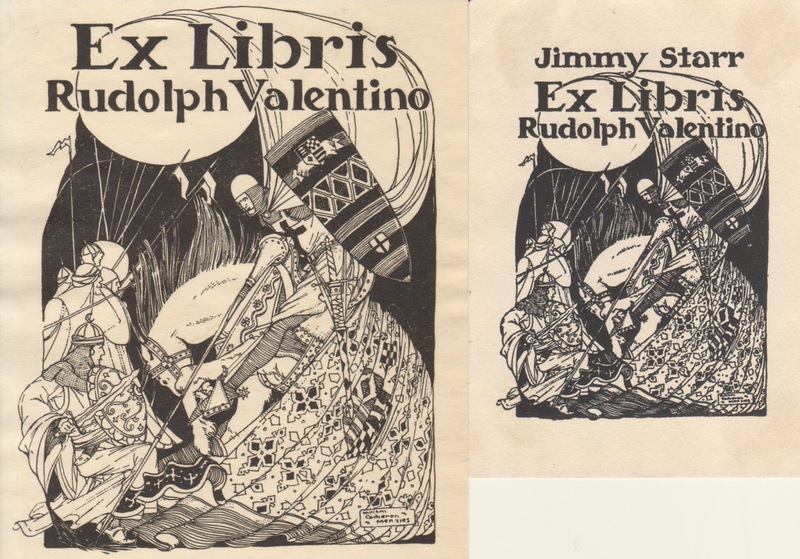 There’s a lot of crossover appeal to this particular plate; as with the DeMille ex libris, it would easily be treasured by both bookplate collectors and fans of classic Hollywood. Garbo retired from the screen in 1941, at the age of 35, having acted in 28 films and having been nominated for an Academy Award on three occasions. Notoriously private, Garbo lived out her later years in a seven-room Manhattan apartment, which she filled with her enormous art collection. 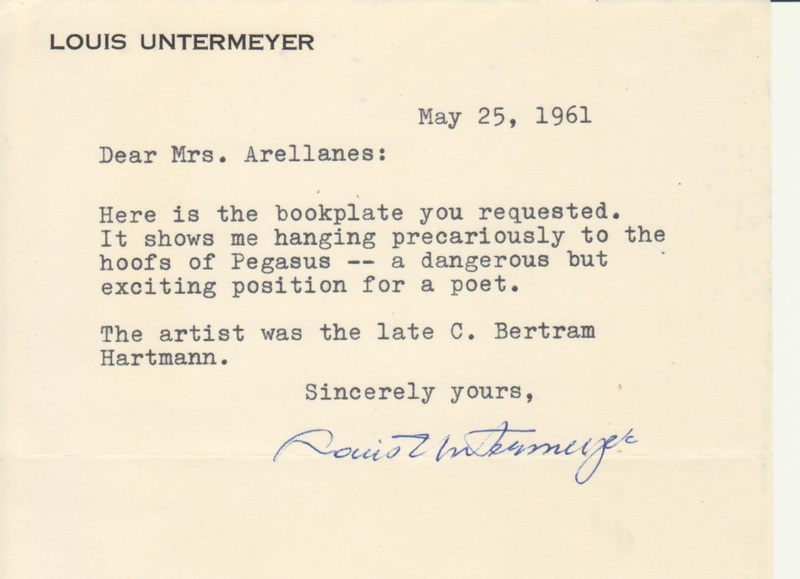 Because she was an aficionado of art, she likely would have been charmed by this pleasing, spare design. Katherine Peach is a writer, editor, and record store owner based in Baltimore, Md. involved in preparation I thought the article deserved to be published. I plan to visit all three shows. 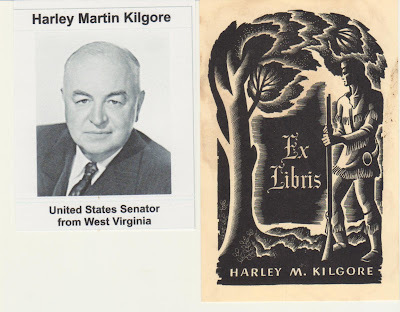 If you have bookplates for sale or trade please let me know. 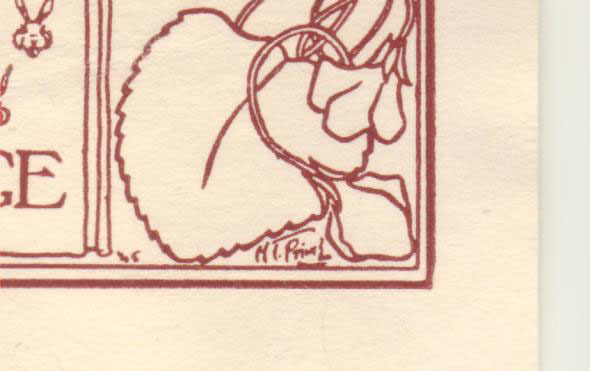 Does anyone out there recognize the artist's signature ? 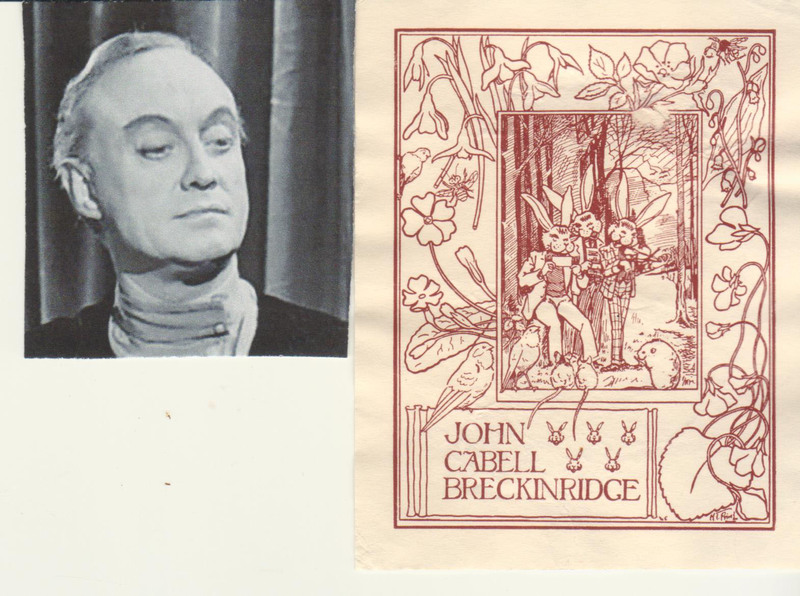 "Breckinridge was born in Paris, France to Adelaide Murphy and John Cabell Breckinridge Sr. (1879–1914), a wealthy Californian family. 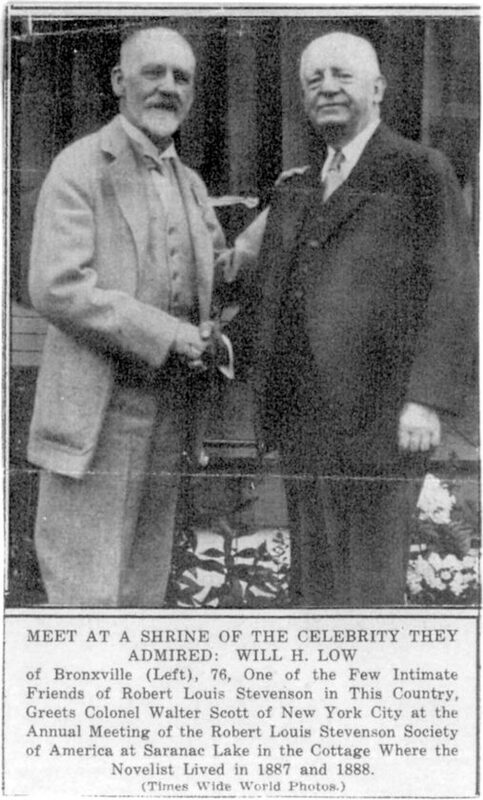 He was the great-great-great-grandchild of U.S. Attorney General John Breckinridge (and the great-grandchild of both U.S. Vice President and Confederate general John C. Breckinridge and Wells Fargo Bank founder Lloyd Tevis). He spent time at Eton College and Oxford University in England. In 1958, Breckinridge agreed to play the role of an alien leader in the film Graverobbers from Outer Space (later retitled Plan 9 from Outer Space), directed by his friend, Ed Wood. Wood and Breckinridge were introduced to one another by their mutual friend Paul Marco, who played Kelton the Cop in three Wood films. 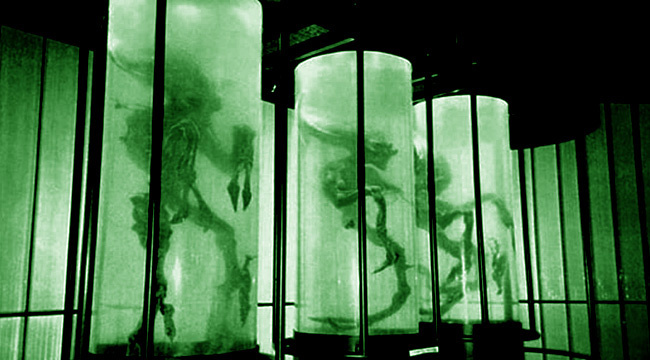 Breckinridge's previous stage experience convinced Wood to cast him as the alien ruler who oversees an attempt to take over the Earth using an army of reanimated corpses. Indeed, his background made him one of the few truly experienced actors in the entire cast. Dressed in a pajama-like outfit which is curiously less ornate than those worn by his underlings, he sports very visible mascara and lipstick, and constantly rolls his eyes and mugs for the camera. 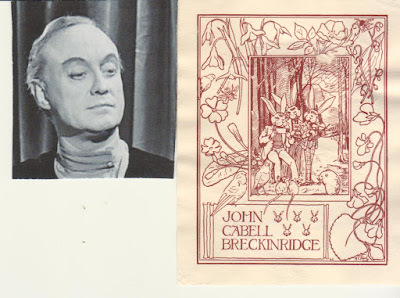 Breckinridge continued his theatrical career throughout the 1950s, but in small local productions, such as playing the role of The Inquisitor in Richard Bailey's production of The Lark in Carmel. By 1980, Plan 9 from Outer Space had amassed a cult following among B-movie buffs as the "worst film ever made", making Breckinridge's name known to a new generation. Meanwhile, he returned to stage acting, appearing mostly in local productions in San Francisco. In 1994, Breckinridge was surprised to find himself portrayed as a character in a major motion picture, played by Bill Murray in Tim Burton's 1994 biopic Ed Wood. His advanced years and failing health, however, prevented him from participating in any of the publicity surrounding the film." 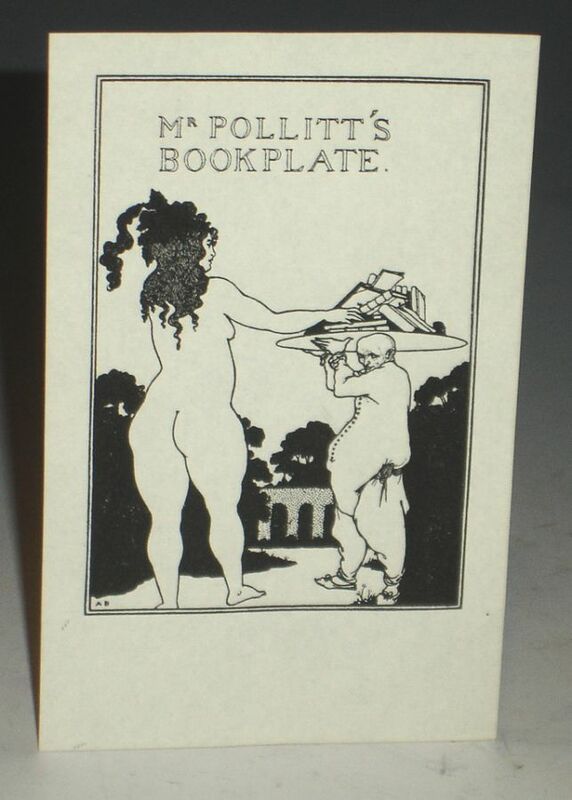 Here is another bookplate ( probably a woodcut) with an unknown artist. I purchased it from Norman W. Johanson in Lancaster Pa. He has a few more copies for sale . 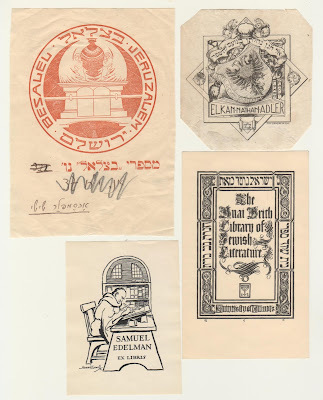 Some times I have to make educated guesses about the bookplates added to my collection. I studied this one for a while and decided to put it with my punning bookplates. Perhaps that was not the owner's intention . Even the most accomplished artists make mistakes when sending out proofs to clients . 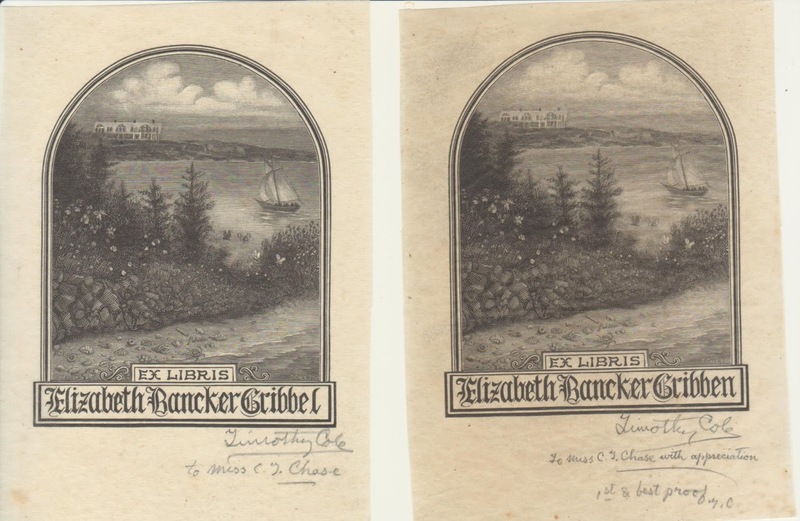 Dorsey Potter Tyson (1891-1969) was an etcher who lived in Baltimore and designed a powerful plate for William E. Bauer .His original proof had the middle initial A.
Timothy Cole's wood engraved bookplate for Elizabeth Bancker Gribbel was misspelled and corrected. and they will be added to this blog posting. 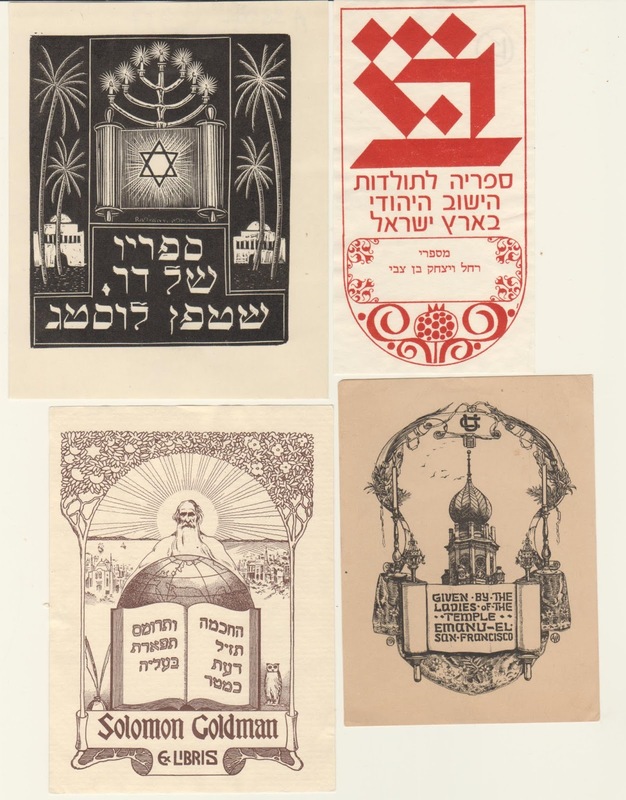 Part one has generated inquiries from Israel, Luxembourg, and The United States. I have accumulated many duplicates which I would like to trade with other collectors. Mr. Will H. Low, the well-known American artist, was an intimate of Robert Louis Stevenson in art student days at Barbizon. 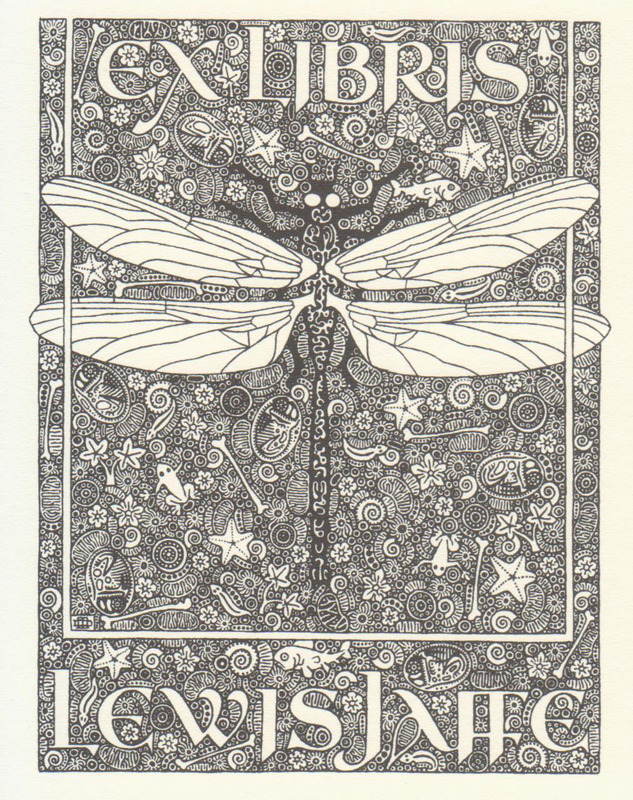 As a tribute to the memory of his gifted friend he has made for members of the Robert Louis Stevenson Society a special bookplate. 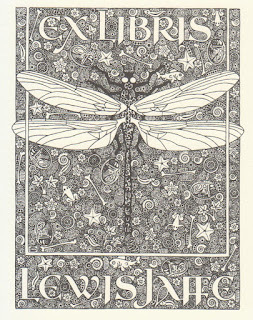 Writing to the Stevenson Society of this design, Mr. Low has this to say: “You will see that I have been somewhat inspired in my design by that charming book, ‘The Penny Piper of Saranac,’ although it really goes further back than that, for I made it up of elements from my drawings for Keats’ ‘Louisa,’ which was dedicated to R.L.S. in 1885. 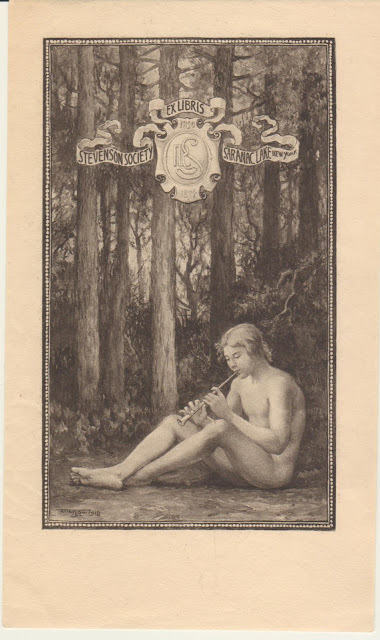 The piping figure I then used for the colophon of the book and the escutcheon with Stevenson’s monogram formed part of the dedicatory drawing. I have thus, pardonably, I trust, sought to interweave my own personality with the design, and the background of Adirondack woods localizes it sufficiently. Will H. Low." bookplate by Menzies and had it altered for his own use. "Menzies joined Famous Players-Lasky, later to evolve into Paramount Pictures, working in special effects and design. He quickly established himself in Hollywood with his elaborate settings for The Thief of Bagdad (1924), The Bat (1926), The Dove (1927), Sadie Thompson (1928), and Tempest (1928). In 1929, Menzies formed a partnership with producer Joseph M. Schenck to create a series of early sound short films visualizing great works of music, including a 10-minute version of Dukas's The Sorcerer's Apprentice, and created the production design and special effects for Schenck's feature film The Lottery Bride (1930). Menzies's work on The Adventures of Tom Sawyer (1938) was what prompted David O. Selznick to hire him for Gone with the Wind (1939). 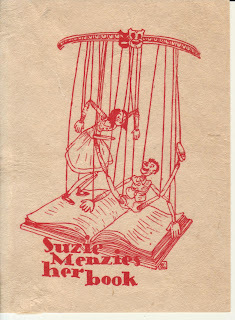 Selznick's faith in Menzies was so great that he sent a memorandum to everyone at Selznick International Pictures who was involved in the production reminding them that "Menzies is the final word" on everything related to Technicolor, scenic design, set decoration, and the overall look of the production. 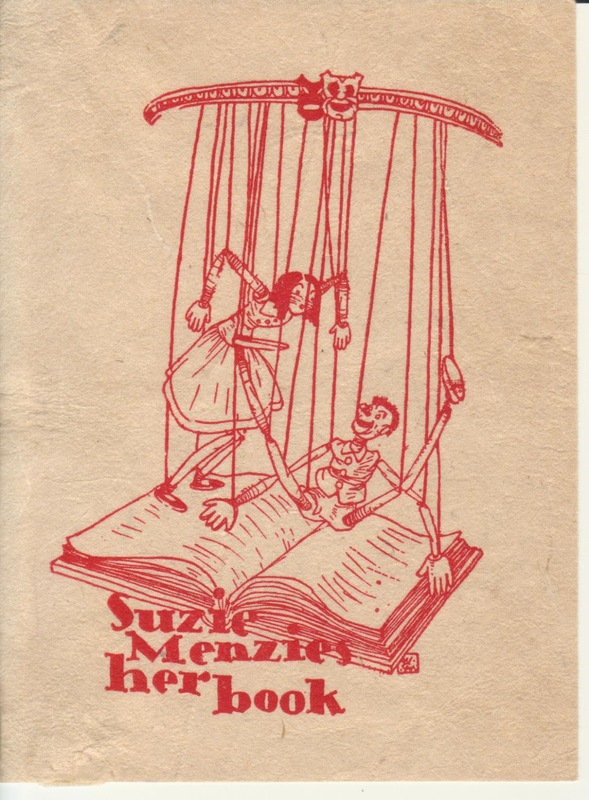 "Production designer" (which is sometimes used interchangeably with "art director") was coined specifically for Menzies, to refer to his being the final word on the overall look of the production; it was intended to describe his ability to translate Selznick's ideas to drawings and paintings from which he and his fellow directors worked. 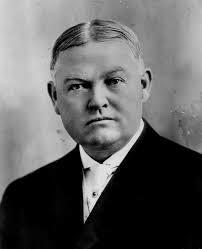 Menzies was the director of the burning of Atlanta sequence in Gone with the Wind. He also re-shot the Salvador Dalí dream sequence of Alfred Hitchcock's Spellbound (1945). 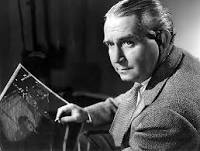 In addition, Menzies directed a string of dramas and fantasy films. He made two sci-fi films: the 1936 film Things to Come, based on H.G. Wells' work that predicted war, the search for peace and technical advancement; and Invaders from Mars (1953), which mirrored many fears about aliens and outside threats to humans in the 1950s. " I recently purchased William Cameron Menzies The Shape of Films to Come by James Curtis and I look forward to reading it. 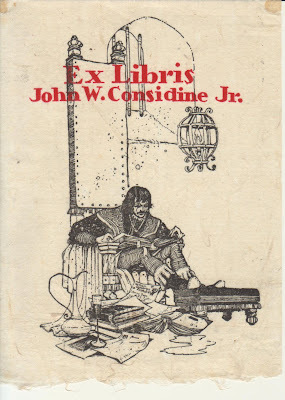 Bookplate by Mr. Menzies for the producer John W, Considine Jr.
My last posting was in July of 2018 and I have finally returned. Let's start with some good news. 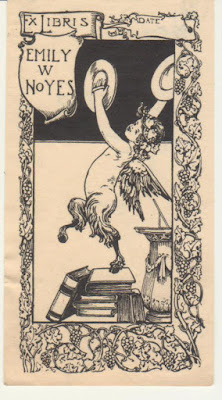 If all goes according to plan I will have a bookplate book published this fall. Details are sketchy but papers have been signed and money will soon be forthcoming. My publisher is The Princeton Architectural Press . Updates will be posted as the book progresses. 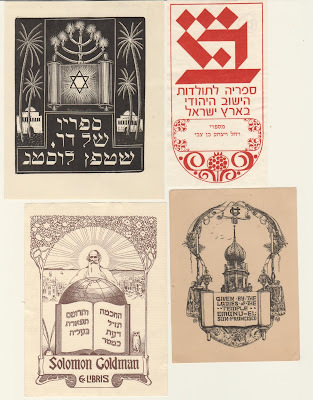 An apparently healthy customer ended a general email with book requests with the following curt and morbid request: I have many boxes of Judaica ... Can my children just ship them to you when I die? 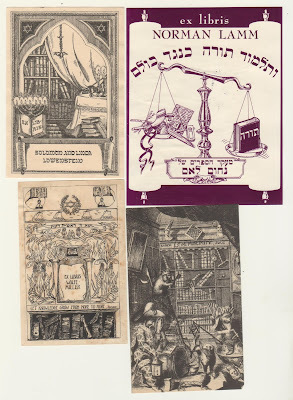 Completing an order of books that she was gifting to her husband, the woman remarked, "that should get him off my back for a few weeks"
After viewing a fine library of a Rabbi and scholar, the son of the deceased Rabbi remarked to me, "my father was a nice fellow, but unfortunately a Kofer (heretic)"
Audrey Arellanes wrote many letters to notable people asking for bookplates . 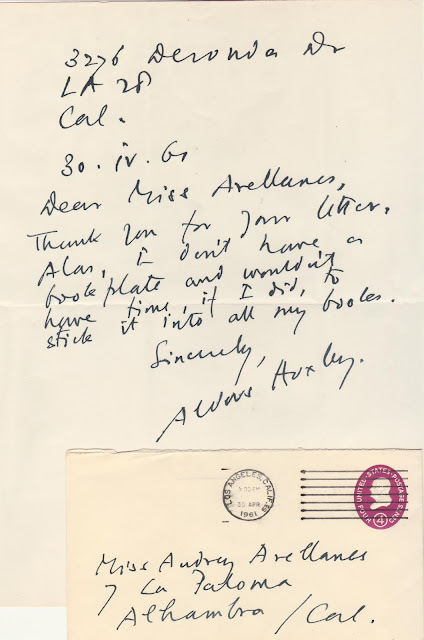 Aldous Huxley took the time to respond. 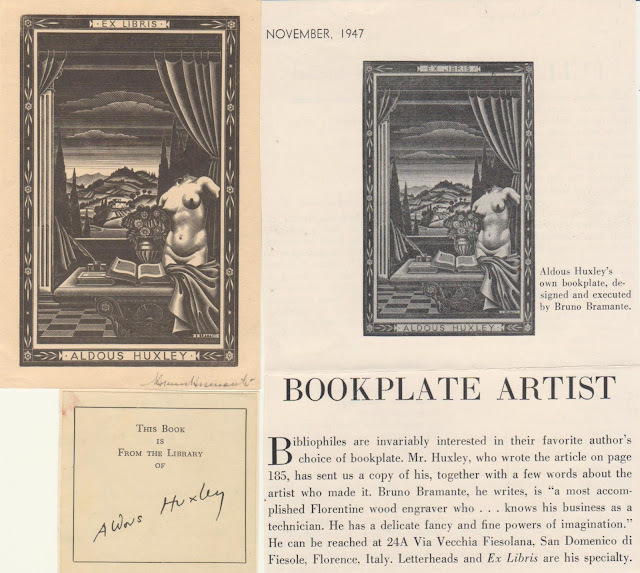 I have always wanted the Huxley bookplate designed by Bruno Bramante. An article about his bookplate appeared in the November 1947 edition of House and Garden Magazine. 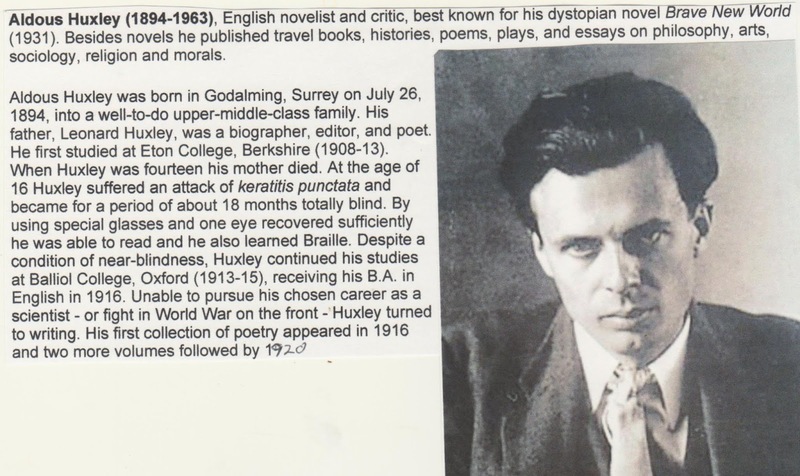 I already had a smaller Huxley bookplate which I suspect was posthumous. The late Richard Schimmelpfeng sent me a signed copy of the Bramante bookplate before he died. In 1961 Aldous Huxley wrote to Audrey "I don't have a bookplate and wouldn't have time, if I did to strike it into all my books. " 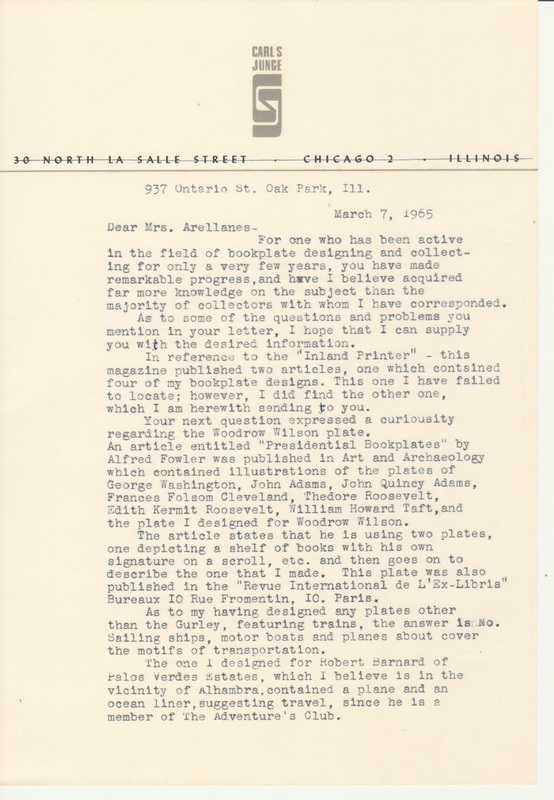 Interesting, Was Mr Huxley on a trip when he wrote the letter or was the bookplate never sent to Mr. Huxley ? Your thoughts would be appreciated. Incidentally,Today, July 26th is Mr.Huxley's birthday. 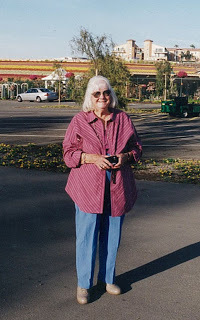 Audrey Arellanes was a remarkable woman who singlehandedly ran the bookplate society for over thirty years. When she died her daughter Denetia wrote about her in this article. 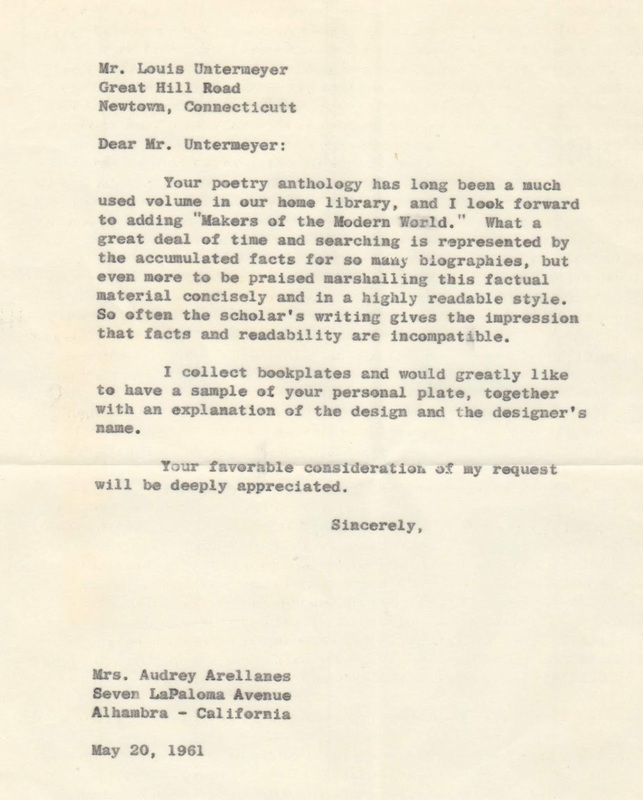 Audrey corresponded with collectors, artists and many notable people on a regular basis. 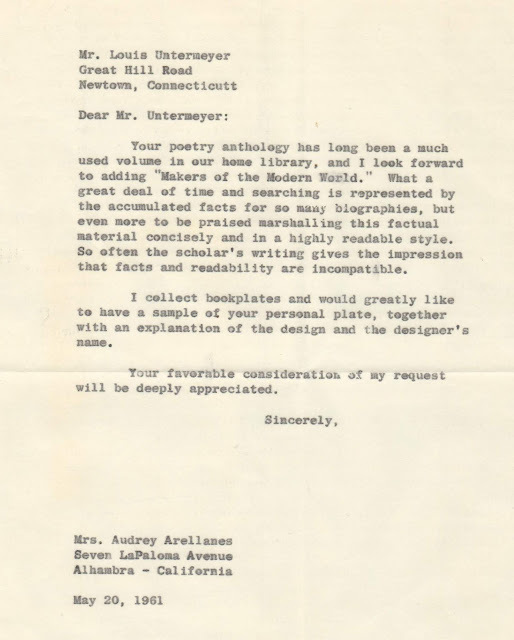 Here are a few of the letters Audrey received. July 4th is a few days away. My hope is that civility and sanity in our government returns. On the other hand ,I do not think that will happen unless these guys launch another sneak attack. Many years ago almost everyone I knew collected something ,Stamps, Trading Cards, Matchbook Covers etc. Times have changed and most collecting organizations are struggling to attract new members.Fellow collector Robert Bolton organized a bookplate exhibit at his local library. 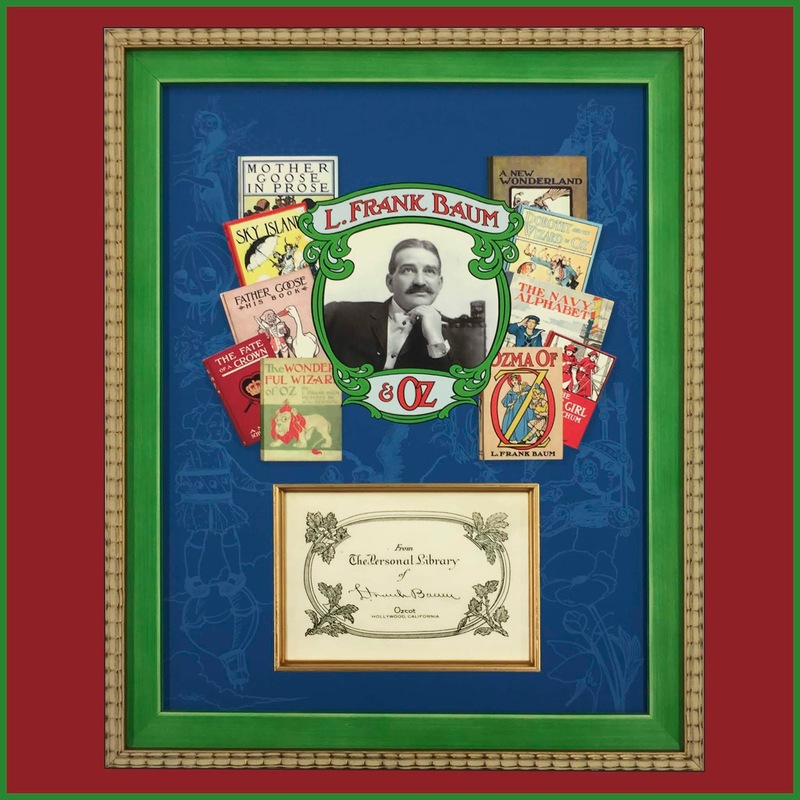 This is an excellent way to introduce bookplate collecting to a wide audience in your own community. Thank you Robert. 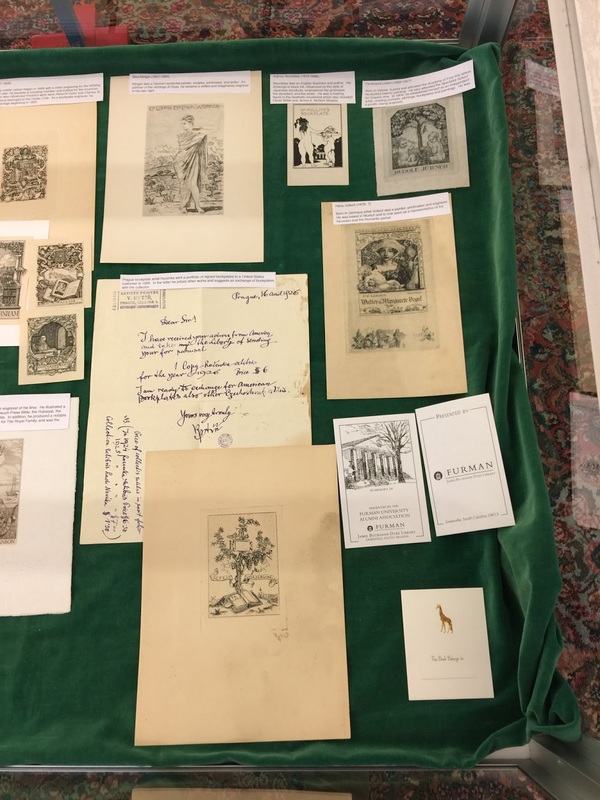 "In March of 2017 I was allowed to display a sampling of my bookplate collection at Lanier Library in Tryon, North Carolina. The focus of my collection primarily is on the artist rather than the owner of the bookplate. 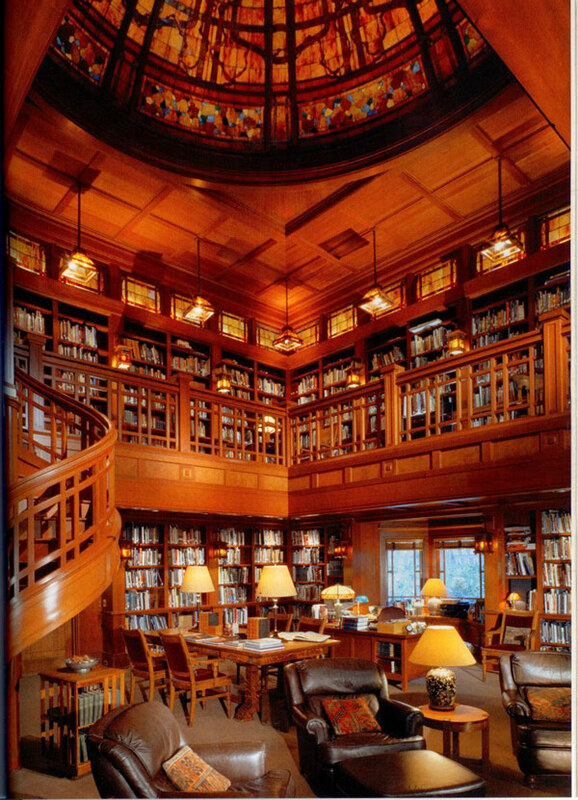 Lanier Library is one of the few remaining membership libraries in the country. 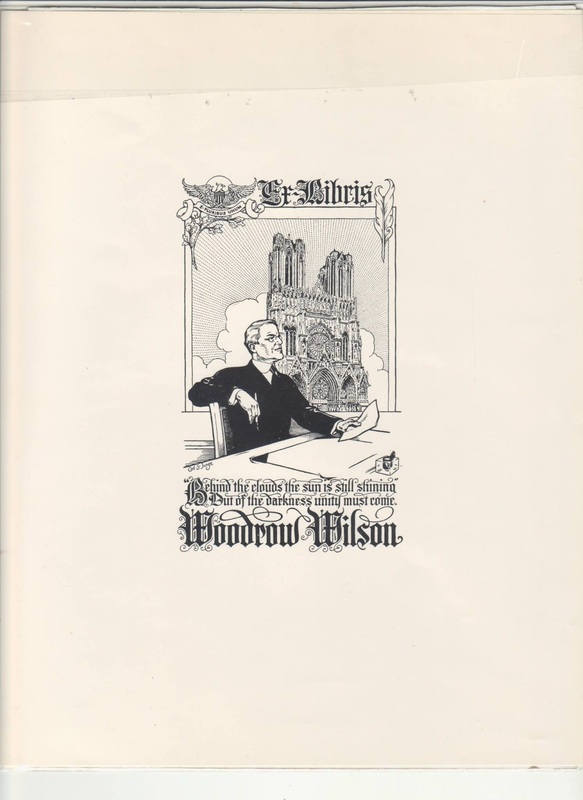 Please refer to America’s Membership Libraries edited by Richard Wendorf with a preface by Nicolas Barker and published by Oak Knoll Press, 2007." Fellow Collector Al Gury has a friend watching over his collection. I have been out of circulation for a while but now I am back. It is nice to be here again. 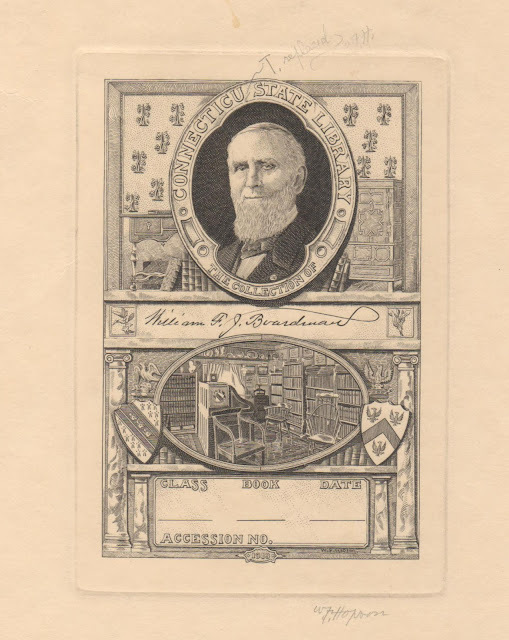 I enjoy doing research about the owner's of bookplates.This one is unique. 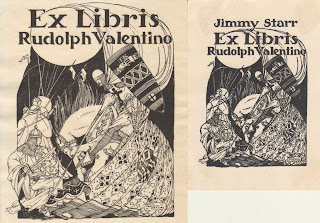 Dr. Austin O'Malley's bookplate was designed by his brother Frank Ward O'Malley. The good doctor married Aline Demetria Ellis who was twenty years younger than him. 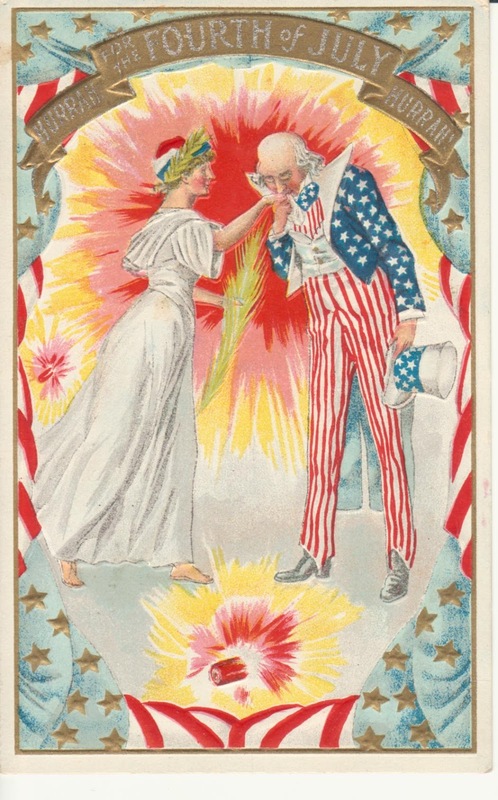 She was having an affair with William J. Hearin , a Cornell University student and she wished to get rid of her husband. She selected poison instead of a divorce attorney. Her poison of choice was arsenic.